Rejuvenation procedures typically performed in conjunction with a facelift include a brow lift to correct a sagging or deeply furrowed brow, and eyelid surgery to rejuvenate aging eyes.  A facelift performed by a world-class surgeon of Wilmington Plastic Surgery can effectively turn back the clock and make you look up to ten years younger. However, it is important to have realistic expectations. As a restorative surgery, a facelift does not change your fundamental appearance and cannot stop the aging process. But it can certainly improve self-esteem. While a true facelift can only be performed surgically, non-surgical rejuvenation treatments may help delay the time at which a facelift becomes appropriate and complement the results of surgery. Our surgeons, physician assistant and team of aestheticians offer an unparalleled level of training and expertise, and they will take the time to help you understand your various options, and craft a plan that is right for you. Wilmington Plastic Surgery is pleased to offer Ultherapy, the only FDA-approved non-surgical and non-invasive procedure that uses ultrasound and the body's own natural healing process to lift, tone, and tighten loose skin on the brow, neck, and under the chin. Ultherapy works by using the safe, time-tested energy of ultrasound to stimulate the deep structural support layers of the skin, including those typically addressed in a surgical facelift, without disturbing the surface of the skin. We also offer the full complement of nonsurgical facial rejuvenation options, including injectables and lasers. And Wilmington Plastic Surgery is proud to be a Diamond Level Partner with Allergen, which means we administer more Botox, Juvederm and Latisse than any other provider in southeastern North Carolina, giving our patients an extra measure of confidence in our expertise and experience. Learn more about the nonsurgical facial procedures available at our skin care medspa. Facelift surgery and rejuvenation procedures are highly individualized choices, and you deserve the best and most experienced surgeons. Don't trust your face to just anyone.